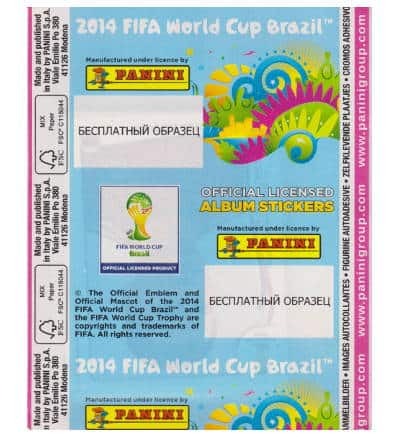 Pink russian packet of Panini World Cup Brasil 2014 sticker collection. On the back there are the cyrillic words "БЕСПЛATHЬIЙ ОБРAЗЕЦ" written, which means free sample in English. 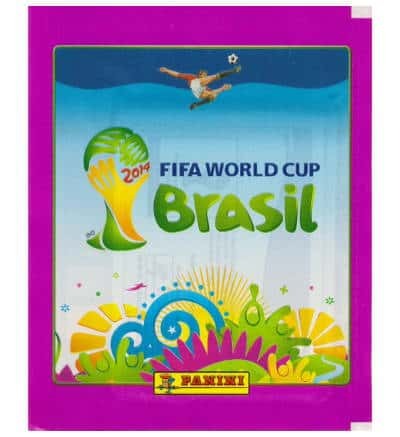 This pink packet contains 5 stickers as usual and was sold in Russia.